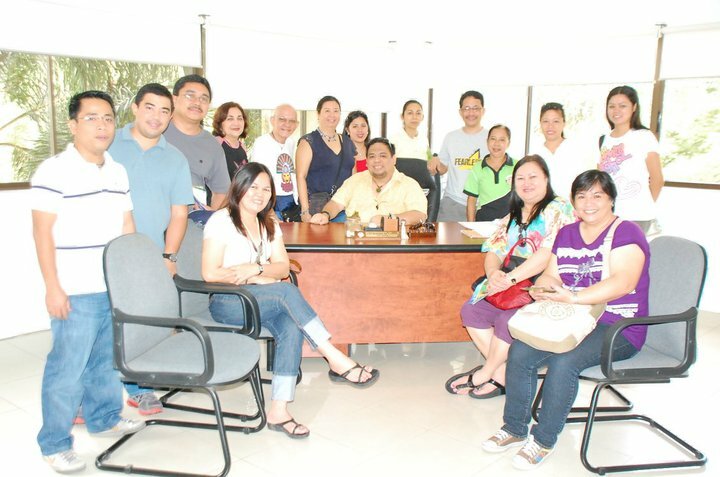 The local government unit of Sagay City hosted the tour guides and travel agents of Bacolod and Negros to a familiarization tour of their city. 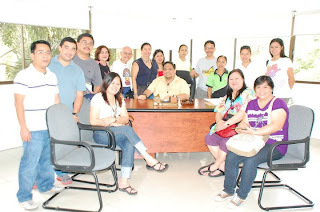 First stop was the Sagay City Government Center which was built in 2002. The seal of the City of Sagay, Negros Occidental. We commandeered his office. Only for a photo shoot which included his City Administrator and Councilor. Our next stop was Brgy Vito. San Vicente Ferrer Vito Church was established by the Recollect Fathers in 1860. Devotees flock to the church every Friday in fulfillment of their vow (Panaad) to the patron saint. The ritual called 'palapak', is the placing of San Vicente's more than a century-old wooden image on the different parts of the body with ailments for healing. Wonders and miraculous healing have been attributed by the faithful to their vow of devotion to the patron saint. And now comes the highlight of this trip. The Himoga-an River Cruise which is the newest tourism activity of Sagay City. It is a 2-hour boat ride plying Sagay's longest river starting from Brgy. Fabrica to Brgy. Old Sagay. This is an islet in the middle of the river called Carabao Island which was formed through accretion. The people living near the are would send the carabaos there to graze. But now the islet is planted with corn and a few carabaos still grazing. Entertainment is also provided in the cruise.